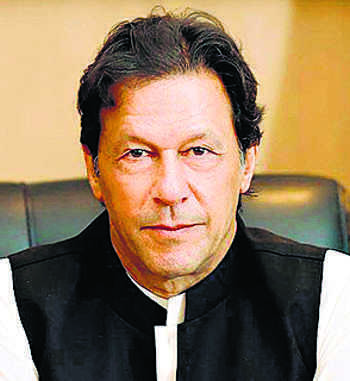 Pakistan has the Mecca and Medina for the Sikhs and the country is opening up those sites for the minority community, Prime Minister Imran Khan has said. Mecca and Medina are the two holiest sites in Islam. Khan in November laid the foundation stone for the corridor linking Gurdwara Darbar Sahib in Pakistan’s Kartarpur — the final resting place of Guru Nanak Dev — to Dera Baba Nanak shrine in India’s Gurdaspur district to facilitate visa-free movement of Indian Sikh pilgrims. “We have the Mecca and Medina of the Sikhs... and we are just opening up those sites for Sikhs,” said Khan during on a day-long trip for in the 7th edition of the World Government Summit yesterday.